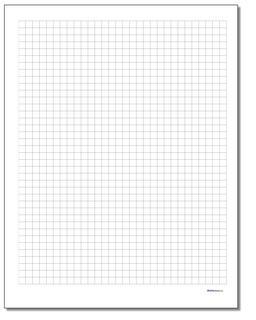 Description Plain Standard Graph Paper: Blank standard and metric graph paper (or "grid paper") in various sizes. Standard sizes are 1/4", 1/5", 1/8" and 1/10" grids (4 grids per inch, 5 grids per inch, 8 grids per inch and 10 grids per inch respectively). Metric sizes are 10mm, 5mm, 2.5mm and 2mm grids.